From 1966 onward, Mark Sifu was my friend, mentor, and a very rough and tough martial artist. He was classically trained, in Hawaiian Kajukenbo. He had the discipline and etiquette, of a traditional Japanese Dojo, the fluidity and skill, of Chinese styles, and the warrior intent, of Mike Tyson. 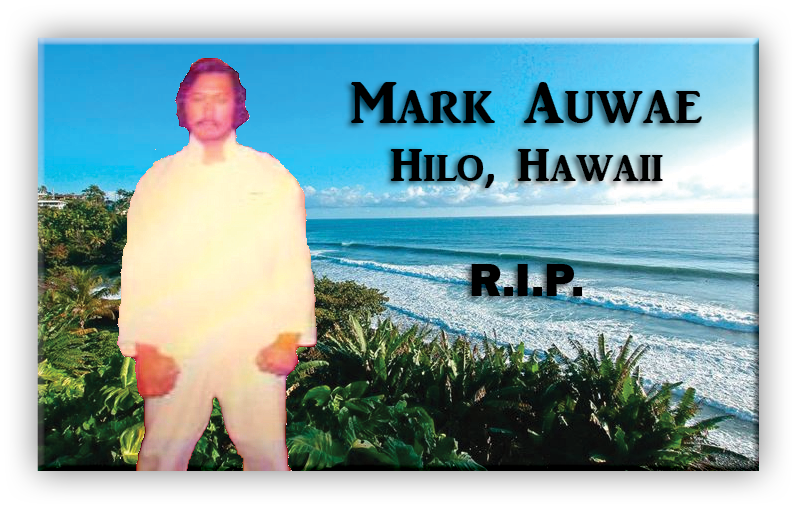 I lived and trained, with him, on the big Island, Hawaii, in the early 1970s. We often had broken bones and blood, in his classes. His early teachings gave me a solid foundation to begin training Hakka Mantis, in the later 1970s. Mark Sifu traveled the world over. Not only was he a military man, in civilian life there was little he couldn’t do. He was a contractor, builder, and engineer teaching arcane subjects, such as oil viscosities. We spoke and corresponded often, until just before his passing January, 2019. His body will be cremated and his ashes scattered, into the Pacific Ocean, in accord with Hawaiian custom. Eternal life. So mote it be. Let’s hope that ‘requiescat in pace – rest in peace’ are not vain words and that we will once again know those that we’ve known. I’ll hope to see both Mark Sifu’s again. 2018 November left me with an accidental back injury that stopped the ONLINE COURSE productions. I’m about 80%, in the back now, and if all goes as planned, I will complete the CHU GAR 12 COMBINATIONS COURSE, this January 2019, with new COURSES following. Keep Mantis’ing forward – straight ahead! Thank you for all that you do Shifu!